Join the Upper Valley MRC for POD (Point of Distribution) Throughput Exercises. PODs are a mechanism for distributing medicine to those at risk during a public health emergency. 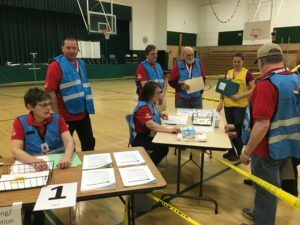 Medical Reserve Corps volunteers will be activated in the event that the dozens of Points of Distribution sites across Vermont are activated.